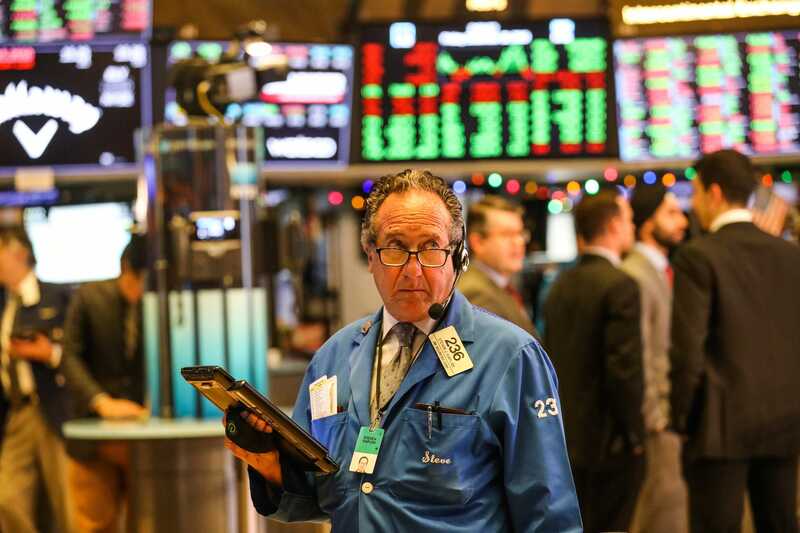 US equity markets gained 0.7% early Monday after President Donald Trump expressed optimism surrounding the possibility of a trade deal with China. US equity markets opened higher Monday, but remained on track for the their worst December since the Great Depression. The Dow Jones Industrial Average gained 160 points, or 0.7%, while the S&P 500 was higher by 9 points, or 0.36%, near 2,494. Still, the benchmark index is down 10% this month, and needs to finish the session above 2,594.56 to avoid its worst December since 1931, according to CNBC. Amazon was up 1.05% after the Wall Street Journal reported that Whole Foods employees are looking into potential store locations in Western North America that would allow more customers to be within Prime Now’s two-hour delivery-service range. Elsewhere, energy names gave up their early gains after West Texas Intermediate crude gave up its early gains of more than 1.7%. Marathon Oil, Hess, and Transocean were little changed after rallying as much as 2%. The dollar slid 0.1% against a basket of major peers and was flirting with its lowest close since November 7. Treasury yields were little changed, with the 10-year at 2.72%.